Last year at the annual SEGAFes event in Tokyo, Shenmue fans were delighted with the announcement of the Shenmue I & II re-release for PS4 and PC (rewatch a captioned video of the 2018 announcement). 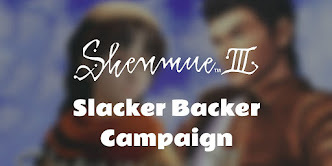 After Day One of this year's event, has there been anything so far for Shenmue fans? In fact there were a couple of things - if only small references. 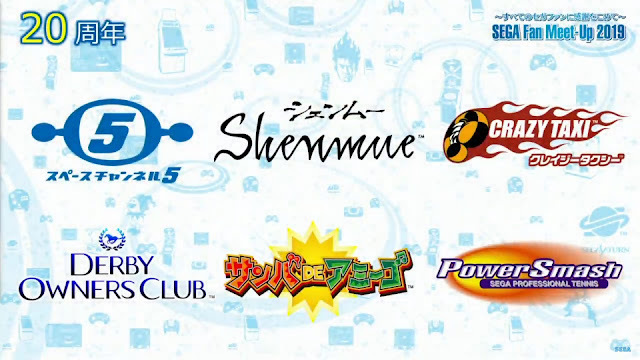 During the opening "SEGA Fan Meet-Up" stage event, the SEGA's CEO, Hajime Satomi, briefly brought up a slide of games that are celebrating their 20th anniversary since release in 2019. One of those was Shenmue, which was released for the Dreamcast in Japan at the end of 1999. 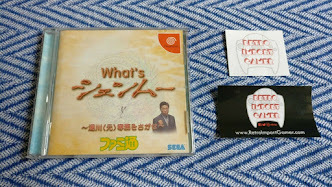 At a later event, SEGA also brought on stage their lovable mascot character for the Saturn console, Segata Sanshiro, played by actor Hiroshi Fujioka who has several links to Shenmue. A likeness of his face appears in Shenmue, advertising an energy drink, as we noted in a previous article. 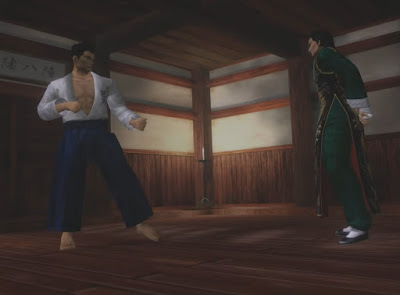 And Hiroshi Fujioka was of course the voice and motion-capture actor for the character of Iwao Hazuki in the Japanese version of Shenmue. At SEGA Fes, several of the 19 television commercials that he made as Segata Sanshiro were played, then he was joined on stage by none other than Takenobu Mitsuyoshi. Mitsuyoshi was the sound director for Shenmue and also composed the Shenmue main theme. Together they sang the Segata Sanshiro theme song. 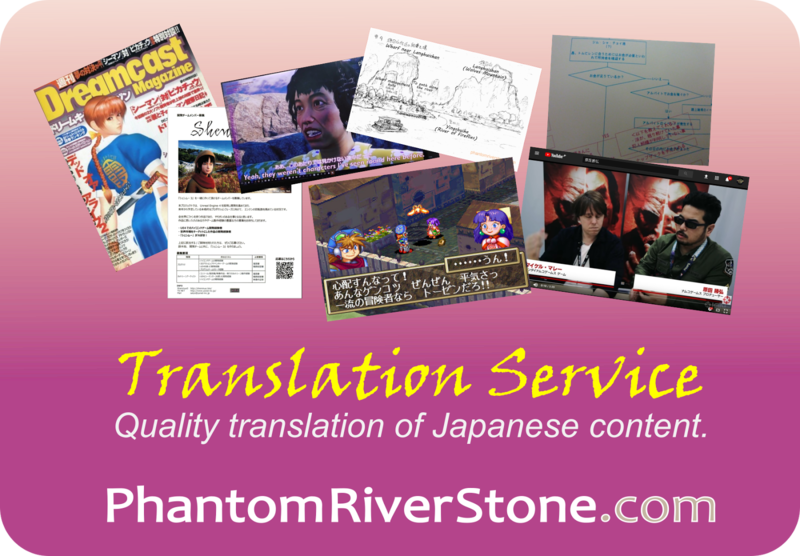 For those who would like to sing along, we've added captions to the final verse. Enjoy!